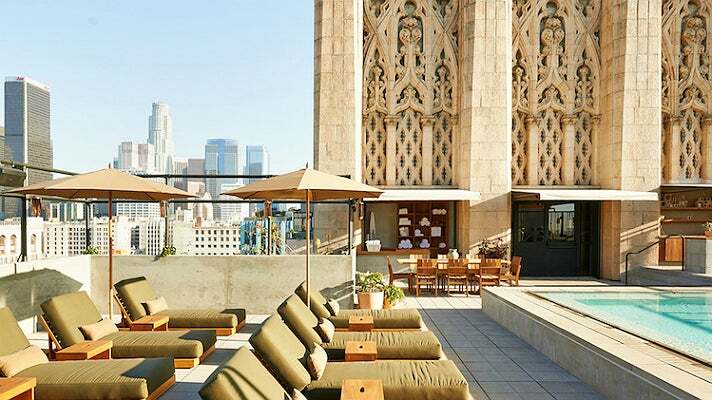 Located on Broadway and 9th Street at the southernmost point of the Broadway Historic Theatre District, the Ace Hotel Downtown Los Angeles is the newest outpost of the boutique hotel group that’s opened properties in New York, Portland, Seattle and Palm Springs. 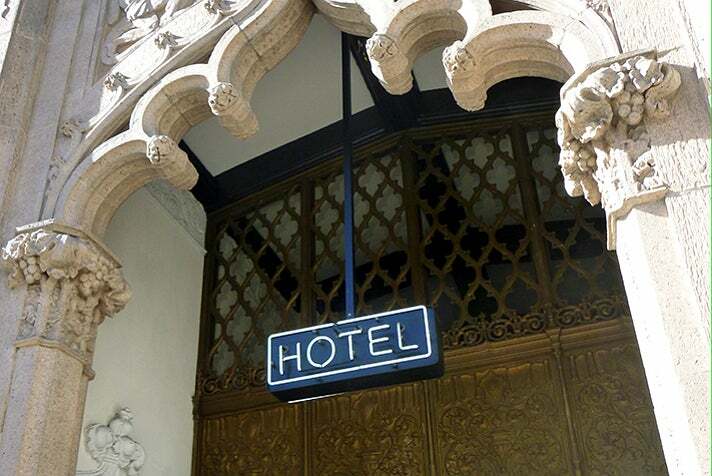 Ace Hotels have garnered widespread public attention and critical acclaim – not only because of the award-winning chefs and mixologists who collaborate on Ace’s dining and cocktail offerings, but also because of the buildings they select, making a stay in one of their hotels more than a place to sleep, but a vacation in and of itself. 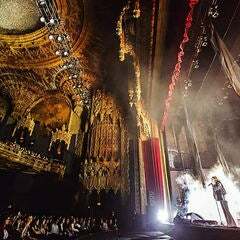 For its Downtown L.A. location, the Ace Hotel set up shop in the historic United Artists Building, which opened in 1927 and was named a Los Angeles Historic-Cultural Monument in 1991. 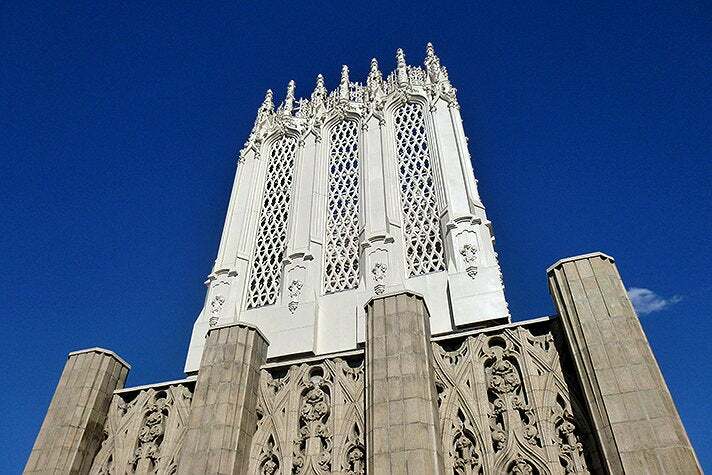 The 13-story landmark was renowned as the office building and flagship film palace for the famed movie studio founded by Mary Pickford, Douglas Fairbanks, Charlie Chaplin and D.W. Griffith. 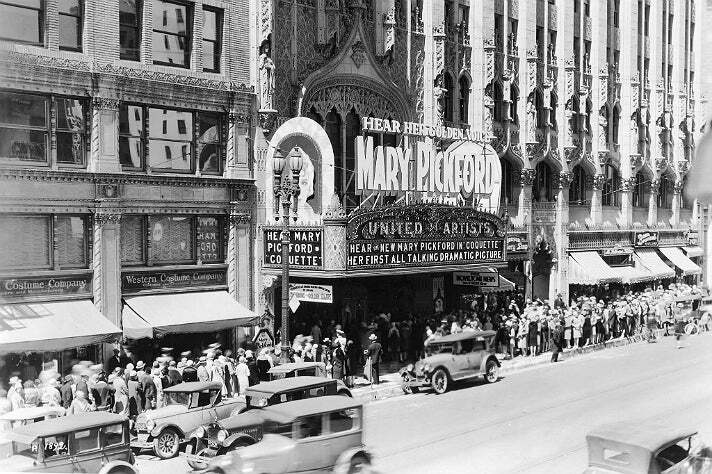 According to Bringing Back Broadway, Pickford was very involved in the United Artists Building project, including the selection of the site and the architect, C. Howard Crane. Pickford’s love of European castles inspired the Spanish Gothic style of the building. 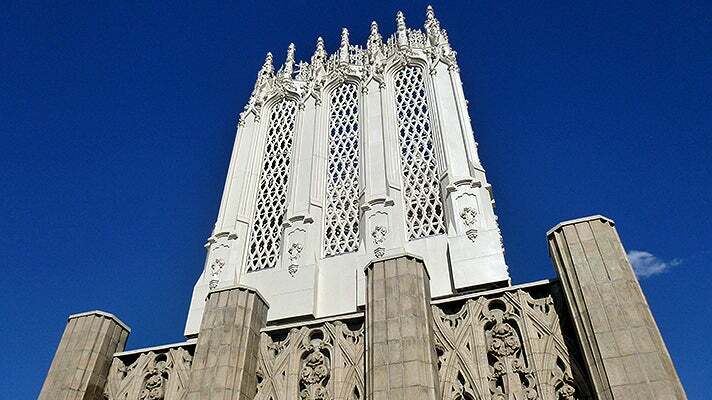 In 1990, televangelist Dr. Gene Scott moved his Sunday service to the UA building, which was renamed the Los Angeles University Cathedral. 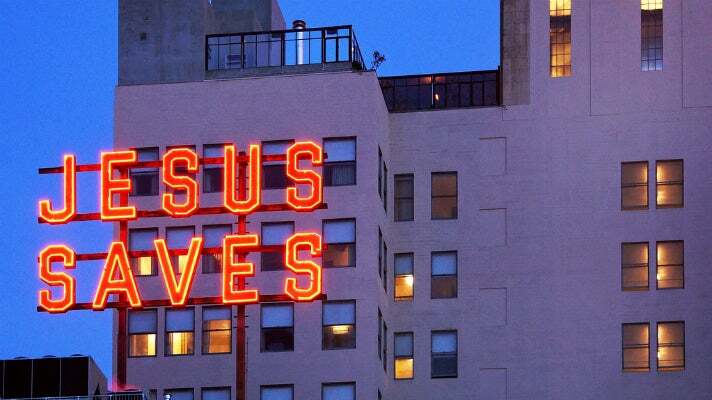 Scott erected two "JESUS SAVES" neon signs just below the roof, and the building became a curiosity for passers-by. Following Scott’s death in 2005, services continued to be held at the building by his widow, Melissa. Although Melissa moved one of the signs to her church in Glendale in 2011, one sign remains as a beacon, and a reminder of Broadway’s colorful past and nascent future. 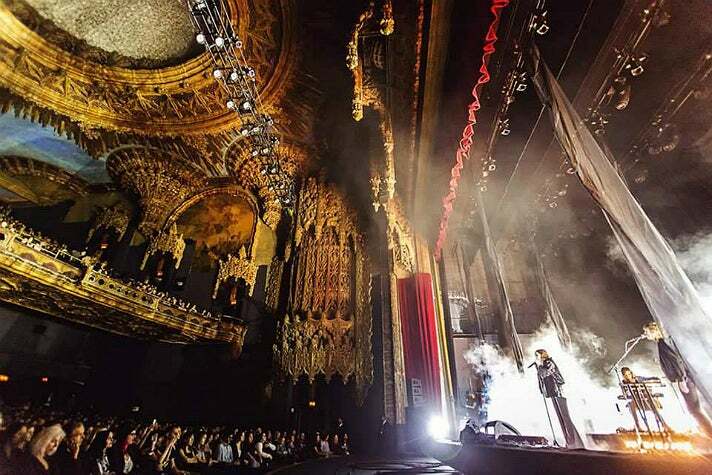 Taking over the entire UA building – which later housed Texaco’s offices – the Ace Hotel Downtown Los Angeles officially opened its hotel in January 2014 and reopened the theatre in February. This particular instance of their adaptive reuse is unique to Los Angeles and oh-so-Hollywood. 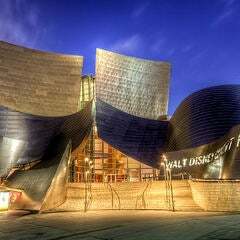 It’s also an exciting jewel in the crown of other revitalized and restored Broadway theatres, including the Orpheum, Palace, Los Angeles and Million Dollar theatres. Each room at the Ace is as individual as each city’s hotels. 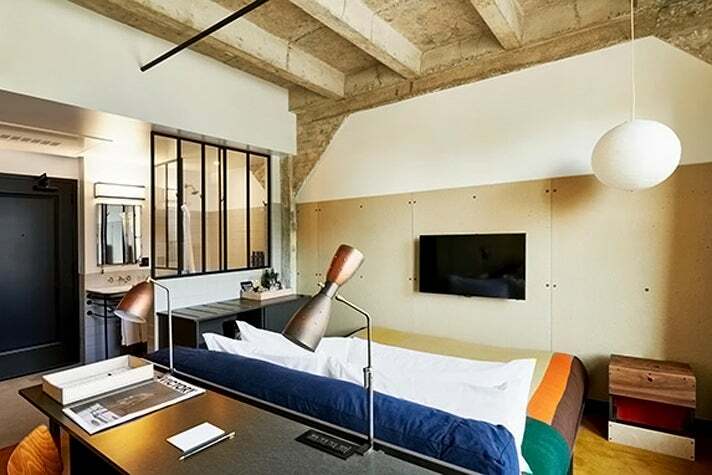 Refusing a cookie-cutter approach to accommodations, the Ace makes every stay in their hotel different, depending on which room you book. Choose between a variety of sizes – ranging from Small, Medium and Large to lofts and suites – with or without a terrace and/or a kitchenette. In all of these rooms, you can partake of a fully-stocked minibar, flat screen TV, free Wi-Fi, and toiletries and soaps from Rudy’s and Pearl+. You can sit on both vintage and locally-made furnishings, and sleep on a hypoallergenic mattress from SuiteSleep, no smaller than a Queen. 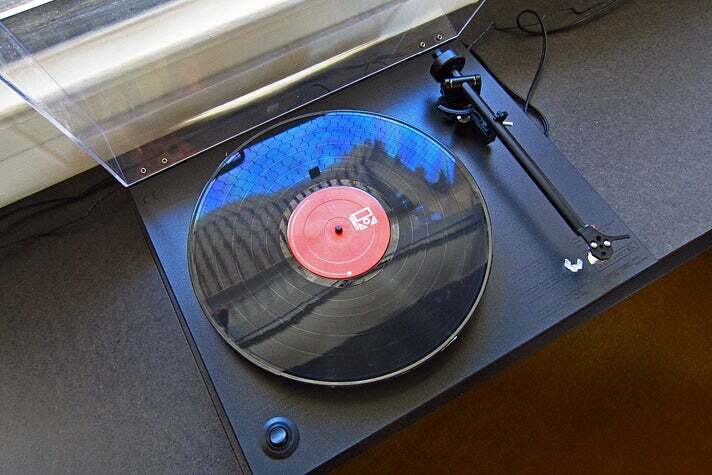 Some rooms even come with an acoustic Martin guitar and/or vinyl LPs with a turntable to play them. 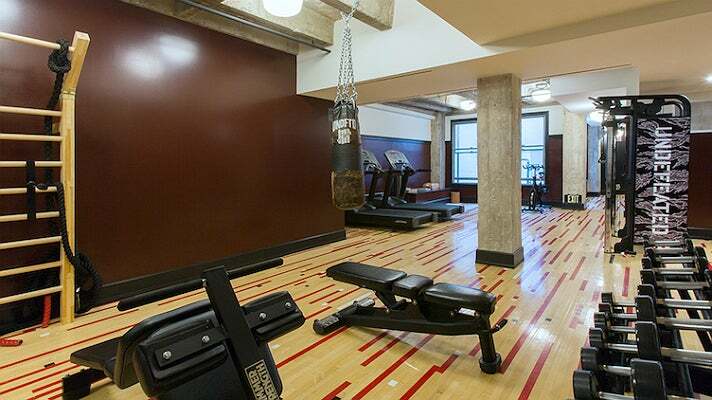 Hotel guests have full access to a private fitness center, which is tucked away on a guests-only level, and fully stocked with weights, machines and a vintage boxing bag. Check out its cool reclaimed wood floor, even if you don’t opt for the workout. 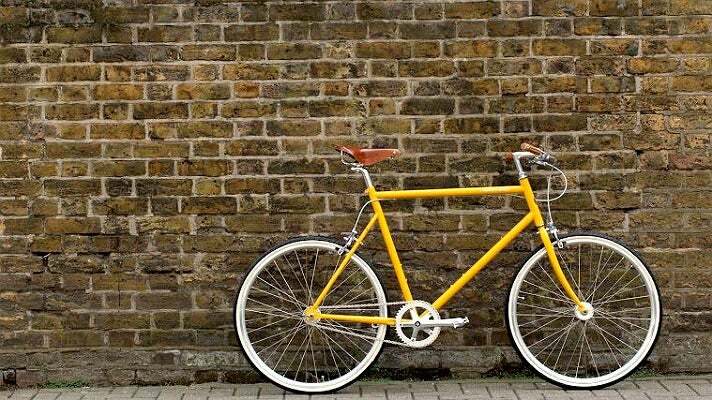 This pet-friendly hotel also provides free rental of custom tokyobike, so you can explore Downtown L.A. on two wheels – if you choose to leave the hotel at all. 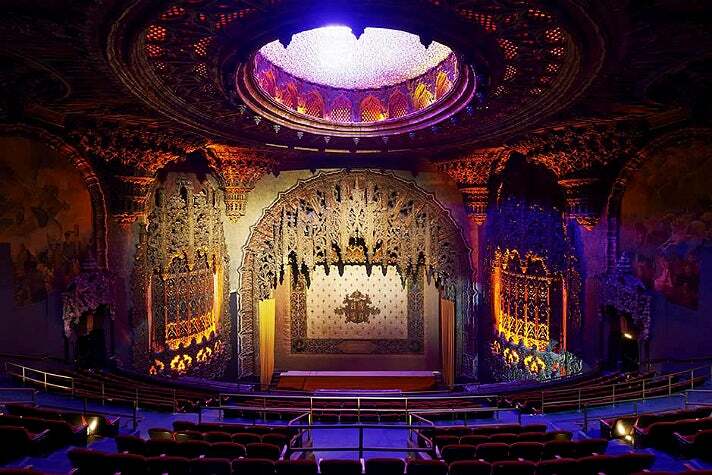 The interior of the United Artists Theatre was designed by Anthony B. Heinsbergen. Pickford’s influence can be seen in Heinsbergen’s decorative touches – vaulted ceilings, stone spires, fresco mural paintings, plaster castings, chandeliers and mirrors to reflect it all. With the feel of a cathedral rather than a palace, it’s no wonder that the former United Artists cinema was transformed into a place of worship. Dr. Scott could retain all the lavish details (and add a few touches of his own, like the JESUS SAVES signs) and operate it as a church for a decade. 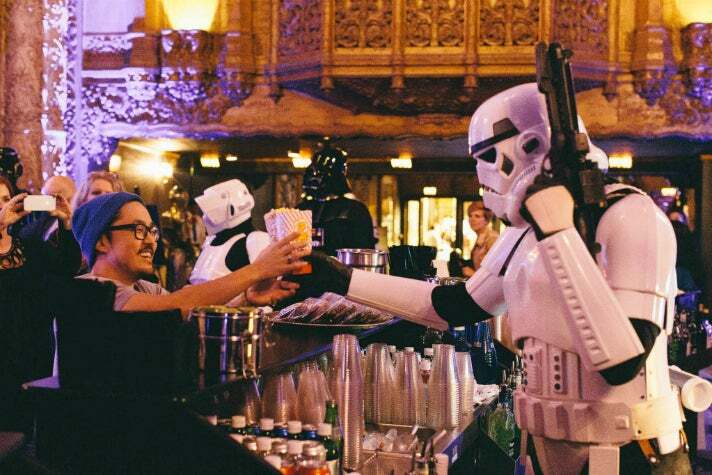 Now known as The Theatre at Ace Hotel, the former UA Theatre is once again showing movies – both new releases and nostalgic selections, in partnership with the Sundance Institute, Cinespia and the Los Angeles Conservancy’s annual “Last Remaining Seats” program. It's also hosted live reads and screenings like The Empire Strikes Back and the Mad Men series finale. The theatre reopened with a concert by English band Spiritualized and has since hosted a wide range of music acts, dance performances, stand-up comedy and more. Guests staying at the hotel have their pick of on-site entertainment nearly every night of the week. The theatre’s original box office has been taken over by Moon Juice, a juice shop that provides complimentary delivery to any of the Ace rooms. In October 2017, Chef Michael Cimarusti (Providence, Connie & Ted's) opened Best Girl at the Ace. 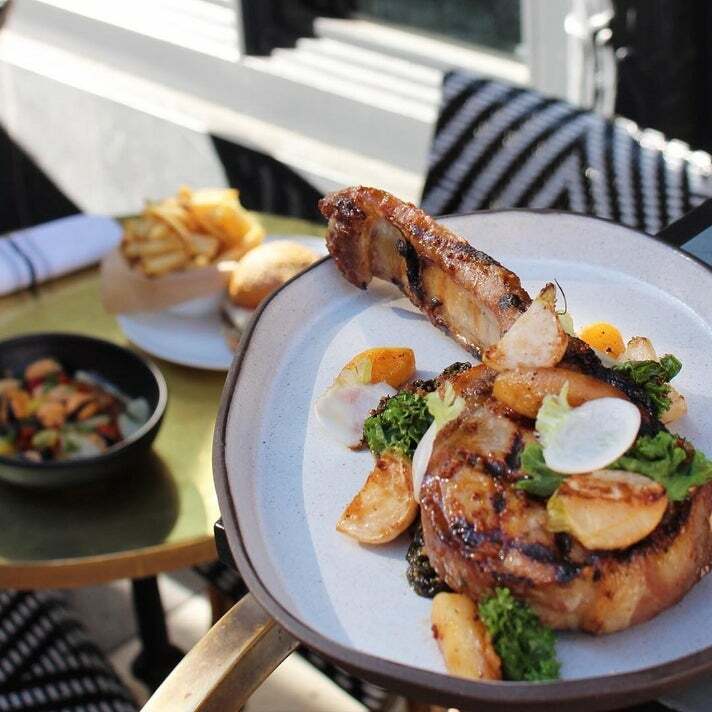 Located at street level in the former LA Chapter restaurant space, Best Girl is described as "a neighborhood bistro serving a menu inspired by the vibrant city of Los Angeles." Open daily for breakfast, lunch and dinner, Best Girl expands Cimarusti's repertoire beyond his acclaimed seafood. Start the day with Avocado "Alligator Pear" Toast or the Lamb Merguez Scramble with pistachio hummus, mint, pickled piquillo peppers and warm pita. Lunch features Frisee au Sable (smoked black cod, mustard vinaigrette, olive oil, croutons, 63-degree egg) and a Tonkatsu-Style Chicken Sandwich with yuzu koshu mayo and creamy miso cabbage. Dinner highlights include calamarata with spicy pork ragu (pork shank, calabrian chili, locatelli romano), jidori brick chicken, grilled duroc pork chop, and a porterhouse for two. People also recognize the Ace Hotel by the tower on top of its roof. When it was built in 1927, the tower actually made the building exceed the height limit at the time - no building could be taller than City Hall. But because the tower housed elevator and other types of equipment, and the building permits called it "signage," it was allowed. 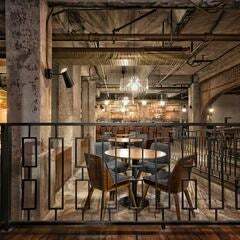 The Ace cleaned years of grime off the tower before its grand opening, and now its interior houses an indoor bar. Upstairs is a bar, lounge, and pool area in and around that tower, accessible by an express elevator that can take hotel guests and the public directly from the street to the roof. 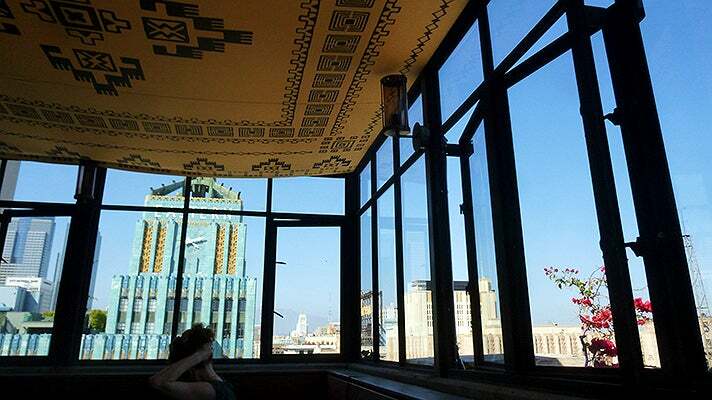 Upstairs is not only a place to be seen, but also to see – it provides incredible views of the Eastern Columbia Building, all of Broadway, and the rest of Downtown L.A. below. 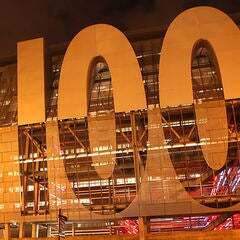 A variety of events provide plenty of entertainment, from bird-watching to beer-tasting, and frequent DJ nights. A light food menu is available, with snacks and cocktails served both in the sun and the shade. Attire ranges from bikinis-and-towels to little black dresses and heels.